Well, the first month of 2018 is almost over. It wasn't the easiest month for me to keep knitting, but I did, despite travelling, tropical temperatures, a very limited stash and other obstacles. I am on track with my challenge to make a hat each week, so that's going great. 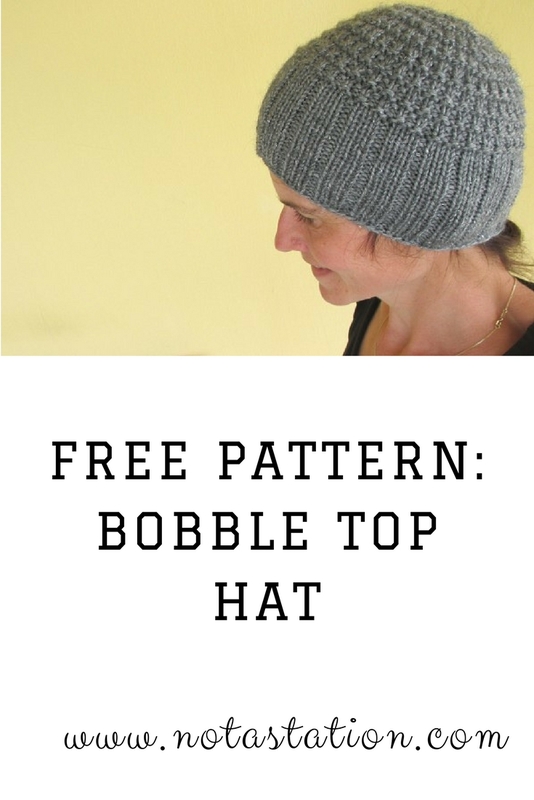 My personal favorite is the Bobble Top, and now you can knit that one too. I tried to write down my notes as clear as I possibly could. Download PDF here (204.4K). Thank you! love the hats and you are on a hat knitting marathon! Thanks so much for the hat pattern. I hope to join your Mad Hatters party in the future. Will it always be on the last day of the month? I look forward to seeing your hats someday ;-) Yes, I plan to do this on the last day of each month and I'll keep it open for about a week each time. 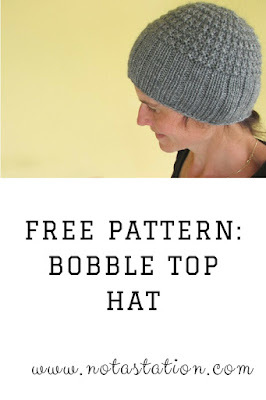 Thanks for the pattern, I've pinned so I can find it again next time I'm looking for a good knit hat pattern.